The F-15 Eagle is a small, highly maneuverable jet plane designed to fly combat missions in all weather conditions. 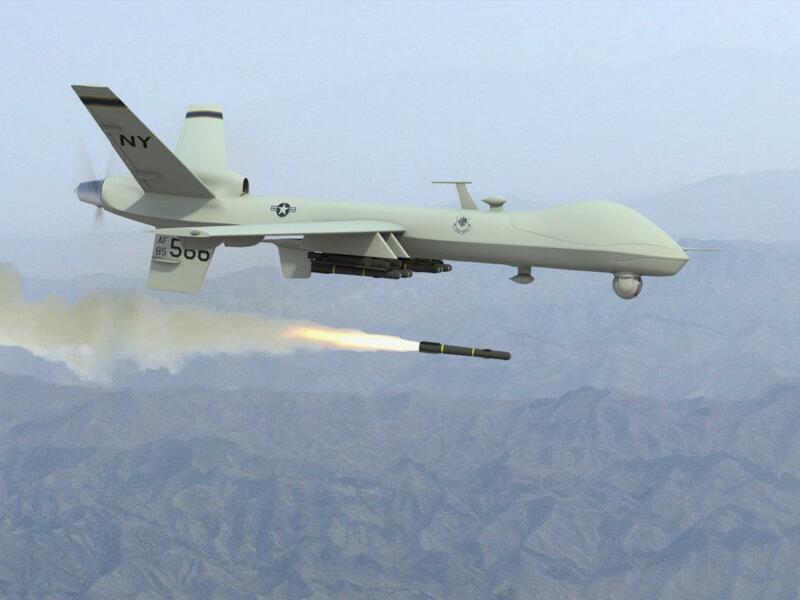 Its primary mission is maintaining air superiority. In other words, its ultimate purpose is to defeat other planes in aerial combat. The United States Air Force commissioned the plane after they got a look at the MiG-25, a powerful fighter jet the Soviet Union unveiled in 1967. The MiG-25, commonly known as "the Fox bat," was far superior to the primary U.S. fighter jet at the time, the F-4 Phantom, and in the heart of the Cold War, the Air Force needed a comparable aircraft as soon as possible. 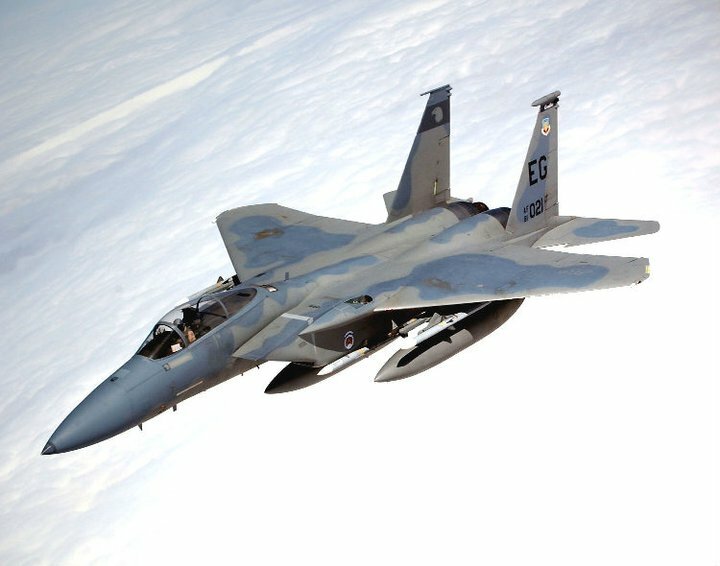 McDonnell Douglas (now merged with Boeing) won the contract for the new project and delivered the finished F-15 a few years later. The company has introduced several variations on this plane since then, as technology and needs have changed (see below). The current combat F-15 Eagle is the F-15C. 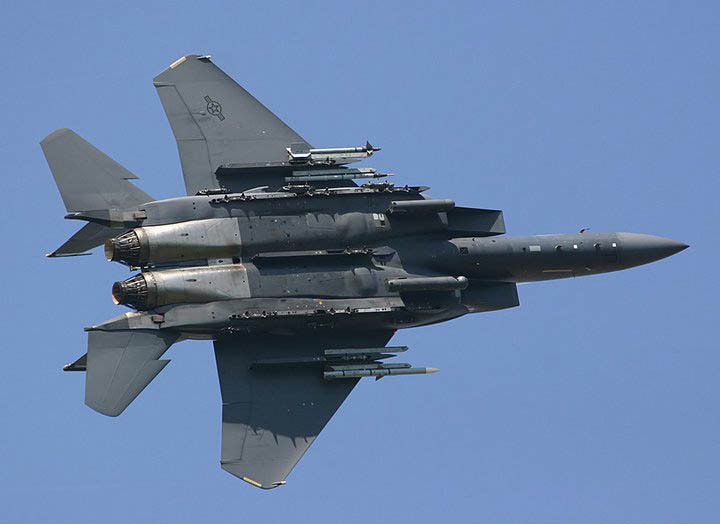 The original F-15 Eagle was designed to handle only air-to-air targets (other planes). It wasn't built to bomb targets on the ground because the Air Force knew that the extra equipment would compromise the plane's aerial combat abilities. 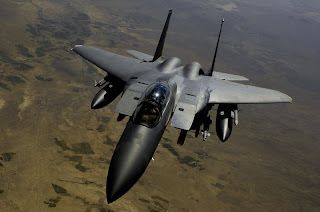 But when the Air Force needed a fighter bomber to replace the aging F-111 until the new stealth F-117 was ready, they decided to modify the F-15 for air-to-ground missions. The result was the F-15 Strike Eagle, designated F-15E. 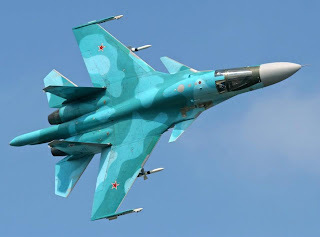 By the Sukhoi Design Bureau, the Su-34 will replace the Su-24 Fencer frontline bombers. Sukhoi says the new bomber has the potential to become the best plane in its class for years to come. In Russia one Su-34 costs about one billion rubles. The $36 million Su-34 fighter-bomber is a two-seat strike aircraft equipped with twin AL-31MF afterburning turbojet engines. 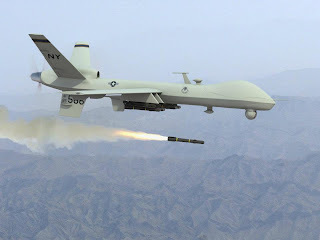 It is designed to deliver high-precision strikes on heavily defended targets in any weather conditions, day or night, and fields weaponry that includes a 30mm GSh-301 cannon, up to 12 Alamo or Archer AAMs, ASMs, and bombs. The Su-32/34 will be one of the three high performance aircraft that are planned to form the core of the future Russian Air Force, along with the Yak-130 advanced trainer and a new multi-functional fighter (PAK-FA). The Strike Flanker was in competition with the Su-30 to replace the Su-24 and was successful due to the potential of growth of the avionics, since it had twice the space in relation to the other airplanes of the Flanker family. The two members of the crew sit down side by side in a large cabin, with the pilot-commander to the left and navigator/operator of weapons to the right in a jettisonable Zvezda K-36dm seat [that has an inlaid system of massage]. The advantage of the side by side cockpit is not to need to duplicate instruments and controls of flight, which improves efficiency and comfort. As long missions require comfort, it has pressurization that it allows to operate up to 10,000 meters without oxygen masks, which are available for emergencies and combat situations. The members of the crew can leave the seats and be in vertical position and relax. The space between the seats allows that they can lie down in the corridor, if necessary. A long-range surveillance radar, passive detection systems, system of communication for tactical and strategical voice and data in a single platform with long-range capacity with flight refuelling, transform it into a way of monitoring and recognition in real time and platform of command and control, forming a complete battle management system. The first aircraft was a Su-27UB, which featured a frontal section with new radar, bigger and widened nose. The new variant was called Su-27IB initially (Istrebityel-bombardirovshchik - fighter aircraft). The new section of the nose had a side by side cockpit. The leading edges were extended until the root of the cabin and had canards. The first prototype was not equipped with fire control systems and was used for aerodynamic tests and arrangement of cockpit. It had an improvement in the maneuverability and characteristics of landing and take-off. The air inlet lost variable geometry, since high speed at great altitude was not as important, as the bomber works most of the time at cruise speed or at low altitude. The Su-27IB (T-10v for the Sukhoi) flew for the first time on 13 April 1990, piloted by Anatoly Ivanov and as the prototype, already called Su-34, it flew on 18 December of 1993. At this time, the development was transferred to the Novosibirsk Aircraft Production Assoc (NAPO) manufacturer in Novosibirsk in Siberia for the base of tests of the Russian Air Force in Zhukovsky. The development was decelerated in 1997 for the Sukhoi to concentrate itself in the development of the Indian Su-30 and the Su-27 acquired by China. 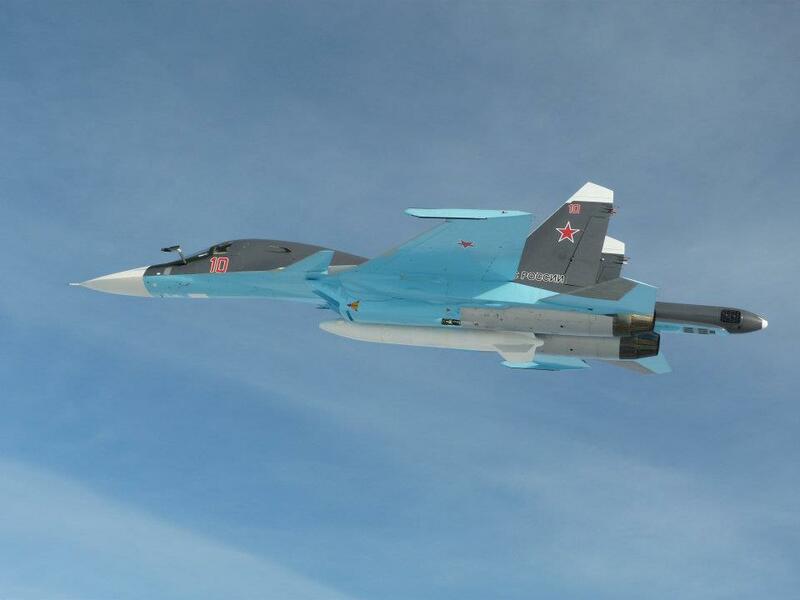 The Su-34 was successfully tested in the Chechenya according to Russian authorities, and also it participated of exercises of combat in the military field of Ashuluk in 1999. It will be the new Russian theater strike aircraft, substituting initially for the Su-24 Fencer (the Russian equivalent of the F-111). By the year 2000 the Russian Air Force had a total of 445 Fencer in Russia, being 365 in the version, B, C, and D and 80 Su-24MR and MP for reconnaisance and Electronic War. Later it will substitute the Su-17 and the Mig-27 in the tactical attack aviation. Also it is planned to be the new Russian naval bomber with coastal base, substituting the naval versions of the 95 Fencer Su-24MF (70 Su-24/Su-24M and 25 Su-24MR/MP) and of the naval Su-17 Fitters and later Tu-22 in attack antiship and Tu-142 in anti-submarine war. On 15 December 2006 Russia's Air Force received its first two newly built Su-34 Fullback bombers. A ceremonial handover of the Su-34s took place at the Chkalov Aircraft Production Association in Novosibirsk, in West Siberia. In attendance were Russia's Air Force commander, Army General Vladimir Mikhailov, and Sukhoi holding Director General Mikhail Pogosyan. Though the newly launched Su-34s were marked 01 and 02, they were in fact the latest in a test series of 10 aircraft. Others had been withdrawn by the designer as a basis for further upgrades. The current version had gone through three major upgrades: in 1999, 2004, and earlier in 2006. Mikhailov said Russia's Air Force needs about 200 Su-34s, which will be on active duty in the next 30-40 years along with modernized Su-24s, which are expected to be gradually replaced over the next 20 years. "In all, we need about 200 [Su-34] aircraft," he said, "But at the same time, we do not want to replace the modernized Su-24[M] in the next two or three years, as the aircraft can be in service for 10-15 years. All of the Su-24s will be replaced with Su-34s in around 20 years." The commander said the Su-34 has been modernized twice since the late 1980s, when it was designed, and will be further modernized after 10 years in service. 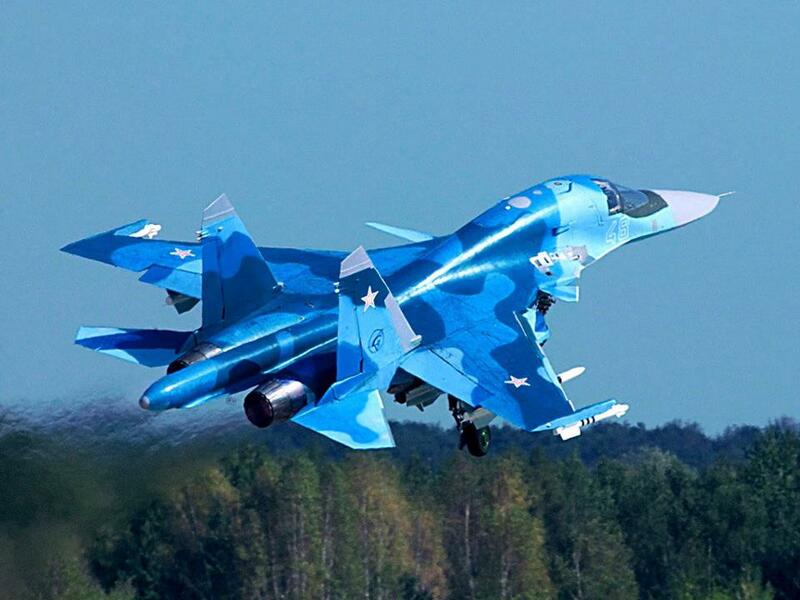 Defense Minister Sergei Ivanov said earlier that Russia's Air Force will buy 58 Su-34s by 2015. 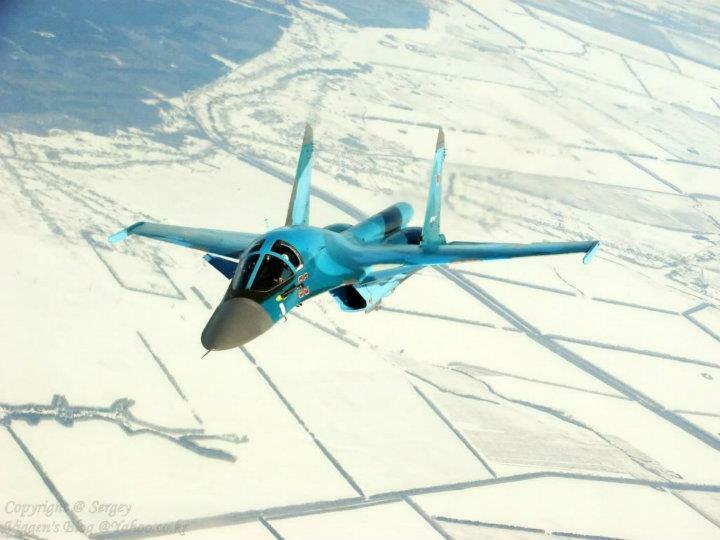 Deputy Prime Minister, Defense Minister Sergei Ivanov said Russia's Defense Ministry will purchase a regiment of 24 newest Su-34 planes for the Air Force by 2010. "Everything has been coordinated and decided upon in a short-term perspective. The Defense Ministry was granted the right from 2004 to conclude long-term three-year contacts with defense companies. As a result, two batch-production Su-34 planes will be purchased in 2006, six in 2007, ten in 2008, with purchases increasing in coming years. Therefore, we have to buy a whole regiment of 24 Su-34 planes in 2010," the deputy prime minister said. The Su-32 and Su-34 have been developed and were in serial production in Novosibirsk Aircraft Production Assoc (NAPO) for the Russian Ministry of Defence. As of December 2006 it was estimated that by the middle of the next decade the plant will produce as many as 70 fuselage kits for SuperJet and ten Su-34s annually (with provision for 20 Su-34s in case of necessity). Export potential is estimated at between 100 and 200 aircraft. The Su-34 fighter-bomber is intended to replace Russian Su-17, Su-24, and the MiG-27. A reconnaissance variant will replace the Su-24MR in the tactical reconnaissance and EW role. The Su-34 will replace the Su-24M aircraft (about 400 planes), the Su-24MR surveillance aircraft (over 100 planes), and the MiG-25RB aircraft (about 70). Russia will have to produce between 550 and 600 Su-34s to replace these obsolete aircraft within 10-15 years. However, the Defense Ministry plans to buy only about 58 such planes by 2015, and a total of 300 by 2022. Many experts say that if the Su-24 and MiG-25RB aircraft are scrapped by 2020, Russia will be left without fighter-bombers and surveillance aircraft. Others argue that this number will be enough for the Air Force's new concept. J-10 is a multi-role single-engine chinese fighter jetbeing developed by Chengdu Aircraft Corporation (CAC) and 611 Institute. It has been selected by PLAAF as the next generation fighter to replace the obsolete J-7 fighter and Q-5 attack aircraft. The aircraft appears to have an Su-27 style nose and retangular air intake, an AL-31F type engine, twin nosewheels, and a distinct low-visibility camouflage color scheme. The aircraft also has a large vertical tail plus twin F-16 style ventral stablizers believed to provide greater stability at high AoA. Its fuselage looks considerably longer compared to Israeli Lavi. 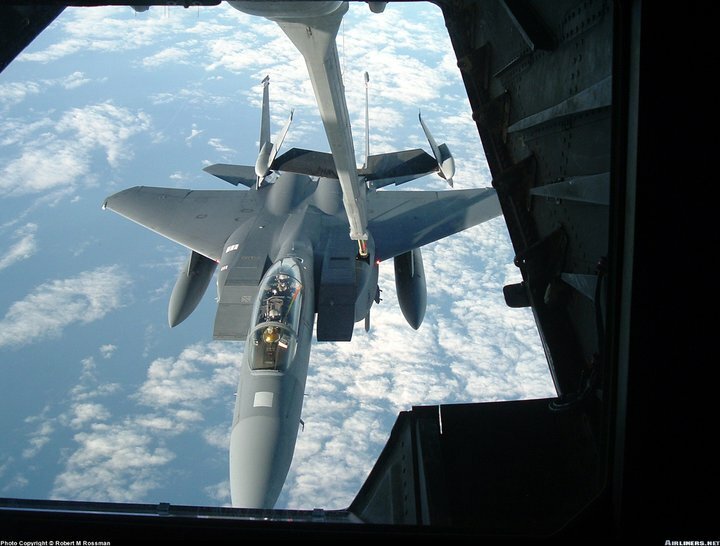 However its bubble canopy appears less elevated than that of F-16, suggesting the pilot has yet to possess a true 360° view. Unlike J-7E with double-delta wings, it appears to have a pair of inverted gull wings (i.e. the inner portion extends slightly downward, while the outer portion extends flat). Two red dummy PL-8 AAMs are regularly seen carried under the wing as well. The J-10 project was started in the mid-80s based on the experience (tailless delta wing and canard foreplanes) with J-9 which was cancelled earlier in favor of the less risky J-7C/MIG-21MF project. An early model of J-10 revealed a Mirage 2000 style intake with a center shock cone for better high speed performance and a Lavi style tail section, suggesting a possible connection with the cancelled Israeli fighter (however this was firmly denied by both parties). The change indicates that J-10 has gone through at least one major redesign in its 10-year development period from the initial conventional layout (as an air-superiority fighter) to the latest semi-stealthy design (as a multi-role fighter). This change may reflect a shift of its potential adversaries from former Soviet MiG-29/ Su-27 to current American F-15/F-16 after end of the Cold War. The new design will certainly be fitted with advanced avionics including a "glass cockpit" (1 wide-angle HUD + 2 monochrome MFD + 1 color MFD), HMS, HOTAS, GPS/INS, air data computer, RWR, digital quadruplex FBW, digital fuel management system, 1553B databus, and a new PD fire-control radar (search distance 52~148 km, track 8 targets simutaneously), which can be either Israeli Elta EL/M 2035, Russian Phazotron Zhuk derivative (Zhemchoug? ), or the indigenous JL-10A from LETRI (with technical assistance from Phazotron?). A variety of newly developed air-to-air (e.g. PL-8 short-range IR-guided AAM and PL-11/PL-12/SD-10 medium-range radar-guided AAM) and air-to-surface weapons (e.g. C-701 TV-guided ASM & LGBs) are also expected to be carried under 11 hardpoints. 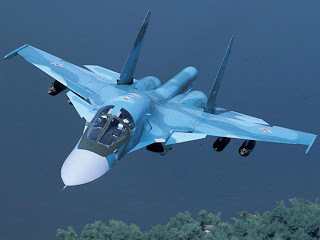 Although it was believed to be powered initially by a 27,560 lb/12,500 kg thrust AL-31FN turbofan, a modified AL-31F which itself powers Su-27/J-11, Russia reportedly had denied China the license to produce the engine locally. As the result, an indigenous engine (WS-10A?) may be fitted later when the serial production starts. 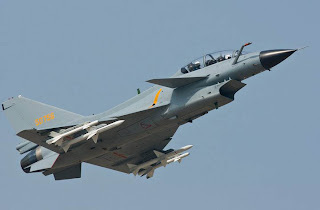 Some US military analysts believe that J-10 could pose a serious challenge to the F/A-18E in terms of maneuverability. Some specifications of J-10 are (speculated): empty weight 9,750kg, max TO weight 18,500kg, internal fuel 4,500kg, external load 4,500kg, g load -3~+9, max speed Mach 2.0 (high altitude)/Mach 1.2 (sea level), take-off distance under 500m, combat radius 463~566 km. The development of J-10 has proven to be tortuous. The prototype was rumored to have first flown in 1996, but the project suffered a serious setback in late 1997 when the 02 prototype lost control and crashed, as the result of certain system failure, presumably with either the FBW system or the engine. After careful redesign and extensive ground test, the successful flight of the new prototype (J-10A?) took place on March 23, 1998, which put the project back on the track. Initially 6 prototypes (serial numbers 1001-1006) were built undergoing various static and flight tests at CAC in Chengdu and at the CFTE in Yanliang. Subsequently 3 more prototypes were built (1007-1009) as the project is moving to the pre-production phase while PLAAF remains fully committed. A carrier based version (J-10B?) was rumored but never confirmed. The J-10 entered service at the end of 2005. The first J-10 in production standard first flew on June 28, 2002. Single-engine, single-seater multirole fighter capable for interception, air superiority, and ground attack missions. The Chengdu (CAC) J-10 fighter, China's fourth generation multi-role fighter aircraft, will be the most advanced fighter in the PLAAF's inventory once introduced to service. The J-10 programme (Project No.10) has been under way for over a decade. Six prototypes have been built by 2001 and these aircraft are reported being undertaking extensive test flights at CAC's test site. The J-10 programme can trace its origins back to the J-9, a Mach 2.5 canard-delta fighter, which is a blend mixture of MiG-23 and Saab JA-37 Viggen. The J-9 project was transferred from Shenyang to Chengdu in 1969 and was later cancelled due to insufficient funds. Work on the J-10 began in the 1980s as a counter to the Soviet Union's fourth-generation fighters, the MiG-29 and Su-27. 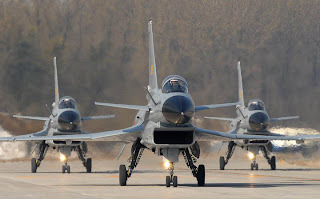 The original mission was air superiority, but the break-up of the Soviet Union and changing requirements shifted development towards a multirole fighter to replace the Shenyang J-6 (MiG-19) and Chengdu J-7 (MiG-21), which are backbone of China's air force. Originally based on the cancelled Israel Avation Industry (IAI) 'Lavi' lightweight fighter, the J-10's development has experienced some major re-design work due to the changes of requirements. Some estimates project that the as many as 300 aircraft will be produced for the Chinese air force, although reports suggest as few as 30 aircraft will have been built by 2005 - a drop in the ocean of J-6s and J-7s in the PLAAF's inventory waiting to be replaced. The J-10 has a rectangle belly air intake, with low-mounted delta wings, a pair of front canard wings, a large vertical fin, and two underfuselage fins. The design is aerodynamically unstable, to provide a high level of agility, low drag and enhanced lift. The pilot controls the aircraft through a computerised digital fly-by-wire system, which provides artificial stabilisation and gust elevation to give good control characteristics throughout the flight envelope. The J-10's cockpit is fitted with three flat-panel liquid crystal multifunction displays (MFDs), including one colour MFD, wide field-of-view head-up display (HUD), and possibly helmet-mounted sight (HMS). It is not know whether the HMS is the basic Ukrainian Arsenel HMS copied by China's Luoyang Avionics, or a new helmet display featured briefly at the 2000 Zhuhai air show. 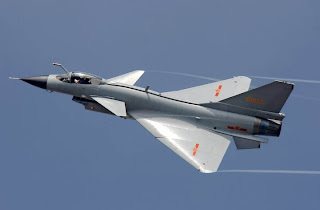 The pilot manipulates the J-10 by the 'Iron Bird' flight-control system, a quadruple (four channels) digital fly-by-wire (FBW) based on the active control technology tested by the Shenyang J-8IIACT demonstrator aircraft. The pilot will also be aided by advanced autopilot and air data computer. Several options are available for the J-10 fighter. These include the Russian Phazotron Zhuk-10PD, a version of the system in later Su-27s, with 160 km search range and ability to track up to six targets. Israel has offered its Elta EL/M-2035 radar for competition. In addition, China has also developed its own design JL-10A, which might be assisted by Russian technology. For low-level navigation and precision strike, a forward-looking infrared and laser designation pod is likely to be carried F-16-style on an inlet stores station. A Chinese designed pod similar to the Israeli Rafael Litening was revealed at the 1998 Zhuhai air show. The single-seat, single-engine J-10 is similar in size to the Lockheed Martin F-16C/D. The initial batch J-10s are going to be powered by 27,500 lb-thrust (120 kN) Russian Lyulka Saturn AL-31F turbofan, the same power plant also being used by Chinese air force Sukhoi Su-27s and Su-30s. Some report indicated that 100 AL-31F engines with features specially designed for the J-10 have already been delivered to China in early 2001. China is also developing its own WS-10 turbofan power plant, and it could be fitted on the later versions of the J-10. According to the U.S. intelligence, the J-10 might be slightly more manoeuvrable than the F-18E/F, which is slated to become the U.S. Navy's next principal combat aircraft. The J-10 has 11 stores stations - six under the wing and five under the fuselage. The inner wing and centre fuselage stations are plumped to carry external fuel tanks. Fixed weapon is a 23-mm inner cannon hidden inside fuselage. In addition to the PL-8 short-range infrared-guided air-to-air missile, which was derived from Israeli Rafael Python-3 technology, the J-10 could also carry Russian Vympel R-73 (AA-11) short-range and R-77 (AA-12) medium-range missiles carried by Chinese Flankers. It may also be fitted with indigenously developed PL-11 or PL-12 medium-range AAM for BVR combat. For ground attack missions, the J-10 will carry laser-guided bombs, YJ-8K anti-ship missile, as well as various unguided bombs and rockets. Some missiles surrently under development such as the YJ-9 ramjet-powered anti-radiation missile may also be carried by the J-10. An all-aspect vectored-thrust version of the AL-31F was revealed for the first time at Zhuhai Air Show 1998, leading to speculation that this advanced engine may wind up on the J-10, potentially conferring phenomenal manoeuvrability. It also projects that a naval variant of the J-10, perhaps with twin-engines, may equip a possible Chinese aircraft carrier. China might also be considering upgrading the J-10 with more advanced phased-array radar to improve its combat capabilities. An unmanned aerial vehicle, commonly known as a drone, is an aircraft without a human pilot on board. 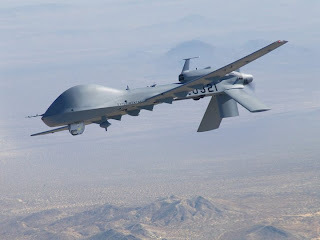 Its flight is either controlled autonomously by computers in the vehicle, or under the remote control of a navigator, or pilot (in military UAVs called a Combat Systems Officer on UCAVs) on the ground or in another vehicle. There are a wide variety of drone shapes, sizes, configurations, and characteristics. 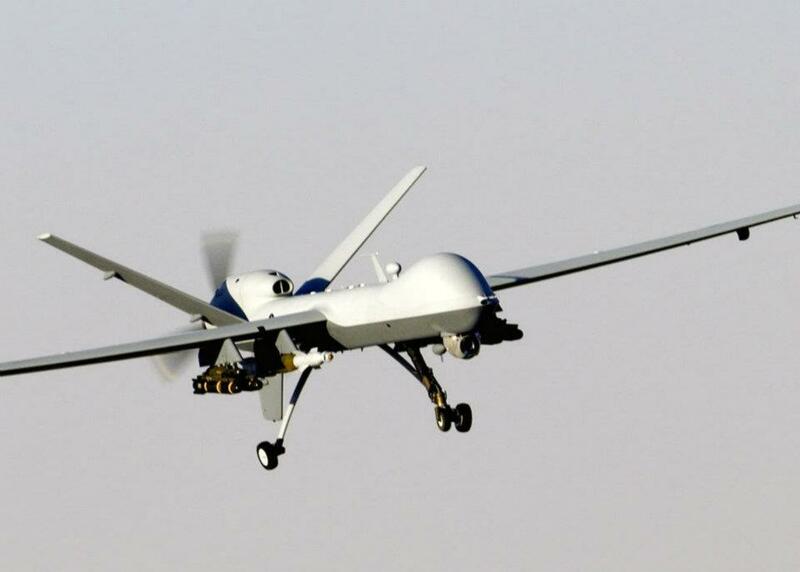 Historically, UAVs were simple remotely piloted aircraft, but autonomous control is increasingly being employed. 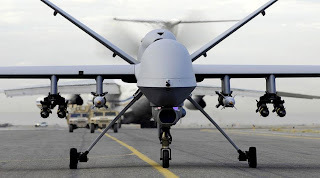 They are predominantly deployed for military applications, but also used in a small but growing number of civil applications, such as firefighting and nonmilitary security work, such as surveillance of pipelines. 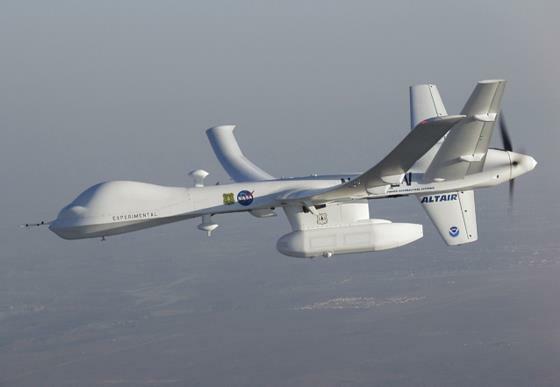 UAVs are often preferred for missions that are too 'dull, dirty, or dangerous' for manned aircraft. T 50 fIGHTER jET THIS IS A pROJECT OF iNDIAN & rUSSIAN aIR fORCE. Freelance Designer from Sri lanka. Powered by Blogger.